I cannot believe it is November and we are in the middle of autumn. As we announced through media and various channels, CIDA has started to work as a federally funded Community Parent Resource Center (CPRC). CIDA is currently preparing a variety of informative programs, including parent workshops, support groups, one-on-one assistance, youth self-determination programs and newsletters. Additionally, in January 2018, we will resume the Workforce Development/Worker Cooperative Project ( a CIDA Board Funded Project), which had been temporarily stopped due to preparation for the CPRC project. Please check our website and Newsletter for updated information! CIDA is committed to strengthening the capacity of Korean-American students with disabilities and their families to lead in the inclusion of people with disabilities in the community through a more rigorous approach with the support from the U.S. Department of Education, OSEP. There is a long road ahead of us. However, I have no doubt that, we as parents and the community work together, we can reach our goals much faster. One of our main goals for our children is for them to live an independent life and be valuable members of society in an integrated world. I hope you enjoy the beautiful fall weather and I will see you at the support meeting on 28th at 11:30 am. While most families look forward to Thanksgiving, some families of children with special needs find these times stressful. Preparation is the best way to eliminate or prevent the stresses that the holiday season can bring upon your child. Preparing yourself ahead of time can lighten your workload this Thanksgiving, and getting your entire family on board can make the transition into the holidays much easier. These tips can be used during the entire holiday season! Sensory overload for your child on the holiday can be a bit overwhelming. Reduce the stress on both your child and yourself. Scheduling specific times that are set aside for quiet time or creating quiet zones in your house can lower stress levels. Friends and family want to help, but when it comes to children with spe- cial needs they often don’t know what to do. Make a list of how family mem- bers can help you. If there is a family member that isn’t supportive it’s okay to walk away. Food for your child. Remember if your child only likes certain foods or certain textures remember to pack a separate container of food for them. Holidays may not be the best time to introduce new foods to your child. Include your child by giving your child a job can help distract them and gives them the feeling of being included during the holiday chaos. 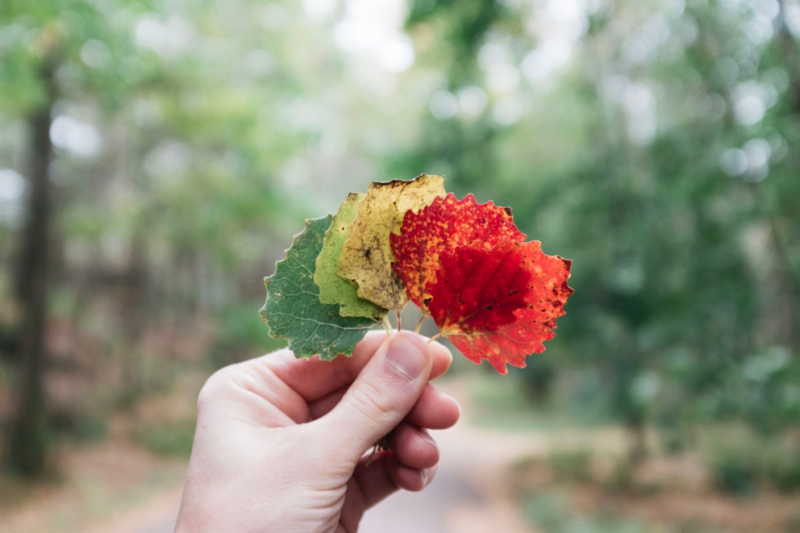 Simple tasks such as taking people’s coats, answering the door, or passing out drinks or food can help them reduce the stress of what is going on by focusing on one given task. Check out an easy recipe below to try with your child. Schedules are important. Try to stay to your child’s schedule or create a special one for the holidays. Creating a schedule that marks when they can expect changes is also a great way for special needs children to understand what to expect. Help them even more by making notes to prepare them for what may go on that day. Special Time is important. Getting overwhelmed with all you have to do for the holy days can leave your child craving attention. Set aside 5-10 minutes where you commit to focusing solely on your child and tuning into what they are feeling and doing while you are busy getting everything ready. Prepare a Bag of Activities if you find yourself traveling to another family member’s house, fill a backpack with your child’s favorite toys to help calm them. If you notice that they are getting overwhelmed, find a quiet corner and give them some of the things in their bag. Social Stories can be a great help. Show pictures of what happened the year before to spark your child’s memory and keep them from being overwhelmed. Most important, enjoy your time with your child, and remember, we can’t control everything. Try this super simple recipe with your child during this holiday! Heat milk to a simmer on stove top. 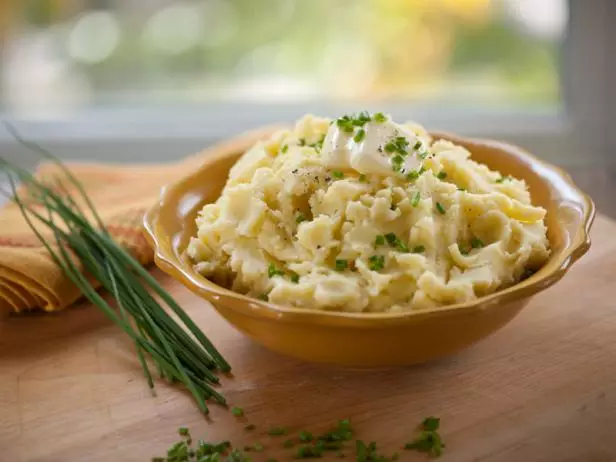 Add milk and cream cheese to potatoes, and mash until combined. Stir in chives.